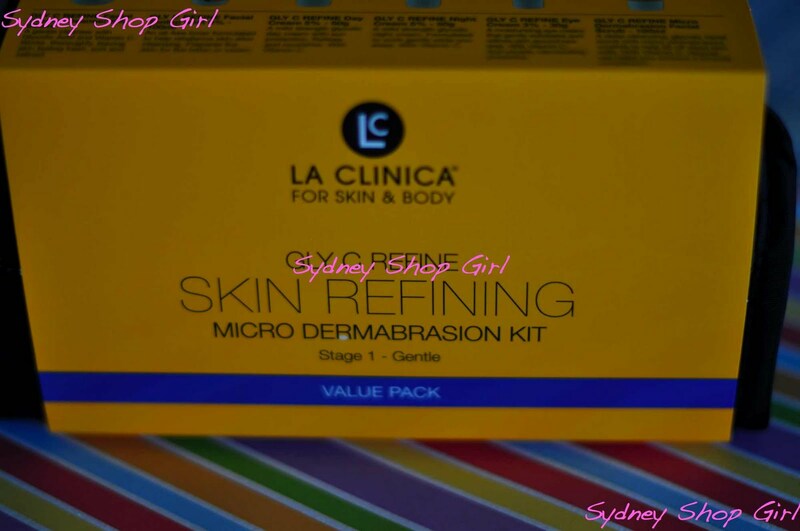 Sydney Shop Girl: SSG's Luxe La Clinica Giveaway. SSG's Luxe La Clinica Giveaway. Happy August 1, everyone!! As of today, there's only one more month of winter here in the southern hemisphere. Then we're on to spring with SUMMER not far behind. 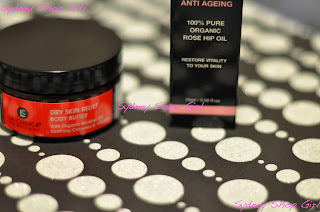 To celebrate, I'm having a rather extravagant giveaway thanks to a high performance, certified organic, cruelty free, SSG blog loving skincare range from Melbourne. Just the kind of brown box you want to find waiting on your door step when you get home from work. 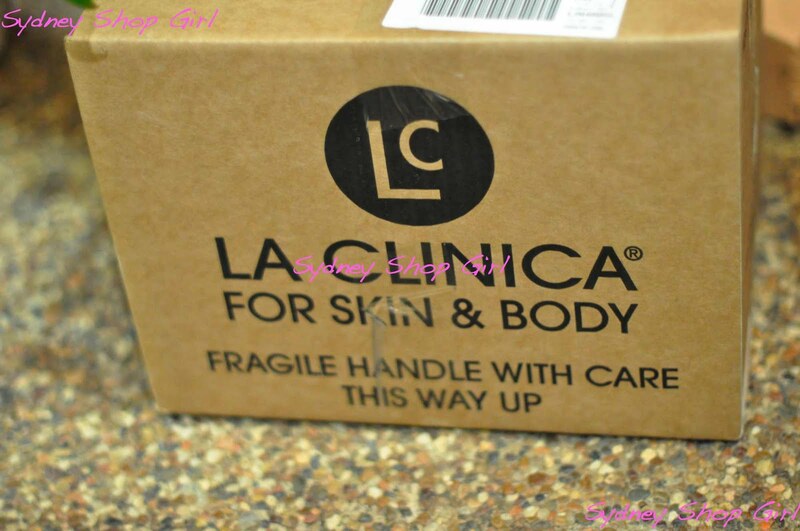 Last week, I received the most generous care package from Julia and Rita-Marie at La Clinica, a fabulous certified organic cosmaceutical skincare range based in Melbourne. It turns out that these lovely ladies are long time readers of the blog and they were keen to share their products with both me and you. My package contained a range of products they thought would suit me (and they definitely do!!) plus some very gorgeous giveaway packs. I'll start with some general information about the brand and then my product reviews. 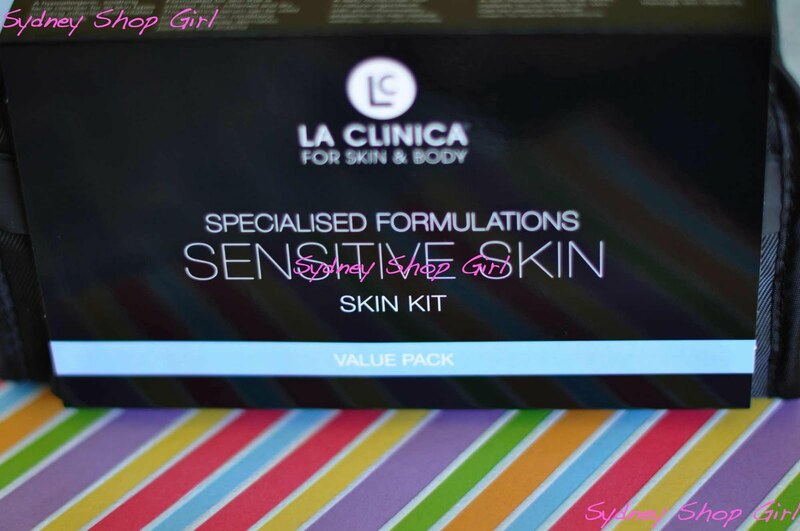 La Clinica was started in 1995 by Rita-Marie and the skin care, body and tea range is available online or through skin care practitioners at a number of beauty salons throughout Australia. All products use certified organic ingredients and are not tested on animals. There is also a cosmaceutical focus to some of the range. I also like that there are a range of herbal teas as well as a mother and baby range (perfect for baby showers!). The packaging is simple, solid and practical. Everything smells divine and just works. The Gentle Facial Scrub ($37 for 100g) provides mechanical exfoliation in a very emollient base. It rinses of really easily. I've been a bit slack of late and haven't used a scrub as often as I should. I've learned the errors of my ways. This scrub left my skin smoothe without drying it out. My favourites are this Dry Skin Body Butter ($25 for 100g) and the Organic Rosehip Oil ($21 for 15ml). The body butter contains rose hip oil and a little goes a long way on the skin. It is quite light for a body butter and gets absorbed rapidly (great for the morning). It lasted the day for me and even in the middle of winter and days practically glued to the heater, I haven't noticed any dry skin patches since I started using this. Rosehip oil fans, I think LaClinica's version may be just the one you've been searching for. It's competitively priced and has a convenient pump dispense as opposed to the squeezy dropper. It has a pleasant fragrance and isn't as thick as some brands. I've been wearing it during the day mixed with regular moisturizer. Now, on to the goodies for you. We have 4(!!) gift packs up for grabs and they each have unique options depending on your skin type and needs. I hope you find a set that suits you. Julia and Rita-Marie have been wonderfully generous to me and the blog. There's none of this sample size stuff, the packs all contain full sized products so you get to really try their fantabulous products. We have a total of 4 different ranges to give away and each set comes in a sturdy zip lock cosmetics bag. 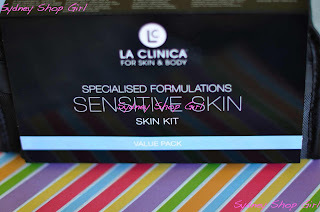 Pack #1 is the Sensitive Skin Kit (retails for $113). 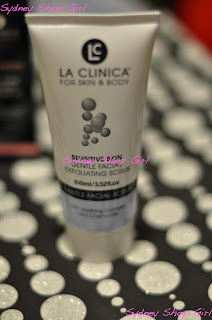 - a La Clinica face cloth. - Gly C Refine Microdermabrasion Facial Scrub 100ml. 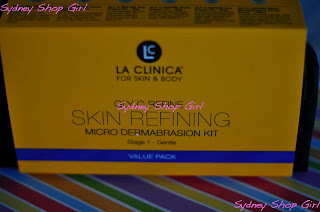 Pack #3 is the Anti Ageing Kit (retails for $157). Pack #4 is the Combination Skin Kit (retails for $130). There will also be a surprise extra in each prize pack. The link to La Clinica's official website offers lots more information about specific products to help you make your choice. FOLLOW my blog either through Google Friend Connect (on the right hand panel) or on Twitter (@sydneyshopgirl) or both. 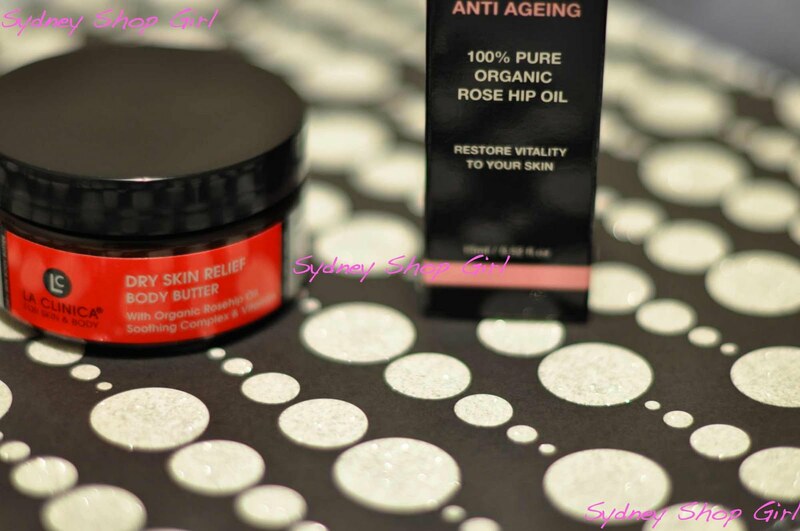 Email me using the email button to the right or ssg@sydneyshopgirl.com with your follower name and postal address. Don't forget to tell me which set you'd like. Competion closes Sunday August 14 2011. Entry is open to readers worldwide. Best of luck and thanks again to La Clinica for being such generous sponsors and all round lovely ladies! Fantastic giveaways as per usual SSG. Yay giveaways! I am now a twit(ter). Have signed up. Can you please send me an email explaining how to use it?!!?? Oh yay!!! Looks fantastic. Love the green tea pack. Will email you right now. What a fab giveaway! New blog design is pretty fab too. Wow!!! How generous are they? Would love to try these products! Following on GFC. I've just sent you an email with the rest of the info. Horses For Concourses. Pork Floss Sandwiches. Everything Around the Kitchen Sink. Just Another Saturday, But A Much Needed One. All Is Well In My World.